Thank you for your interest in Minnesota Benefit Association. If you would like more information or to provide feedback about any of our programs, please contact us by phone, email, mail, or by filling out the contact form below. We welcome your questions, comments, and feedback. 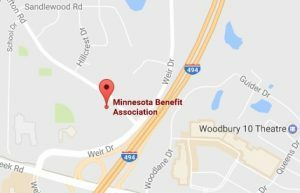 Note: The Minnesota Benefit Association only uses this information for our own purposes and does not share your information with anyone outside of the Minnesota Benefit Association program.